Words like “brand awareness” and “brand recognition” are often tossed around, and are synonymous with achieving success and gaining a strong foothold in your niche, especially when there are thousands of other blogs and businesses competing for your same audience’s attention. That’s what we’re going to talk all about today. 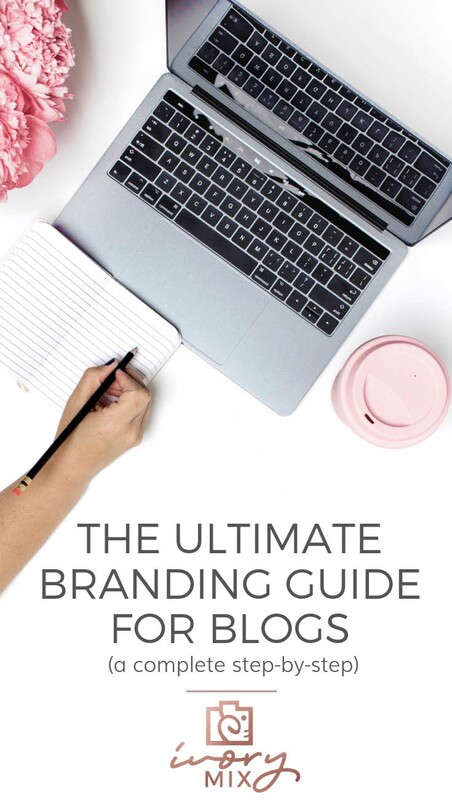 It’s been written so that by the time you reach the end of this complete guide to branding, you’ll know exactly how to create a brand that positions you as an authority in your niche and is instantly recognizable within your market. When it comes to maximizing your income, and establishing a strong presence within your niche, you absolutely need to build a unique and recognized brand that aligns with a clear and direct brand message. Your brand message explains to your audience (and potential customers/clients) what you have to offer, and how committed you are to providing quality and value. 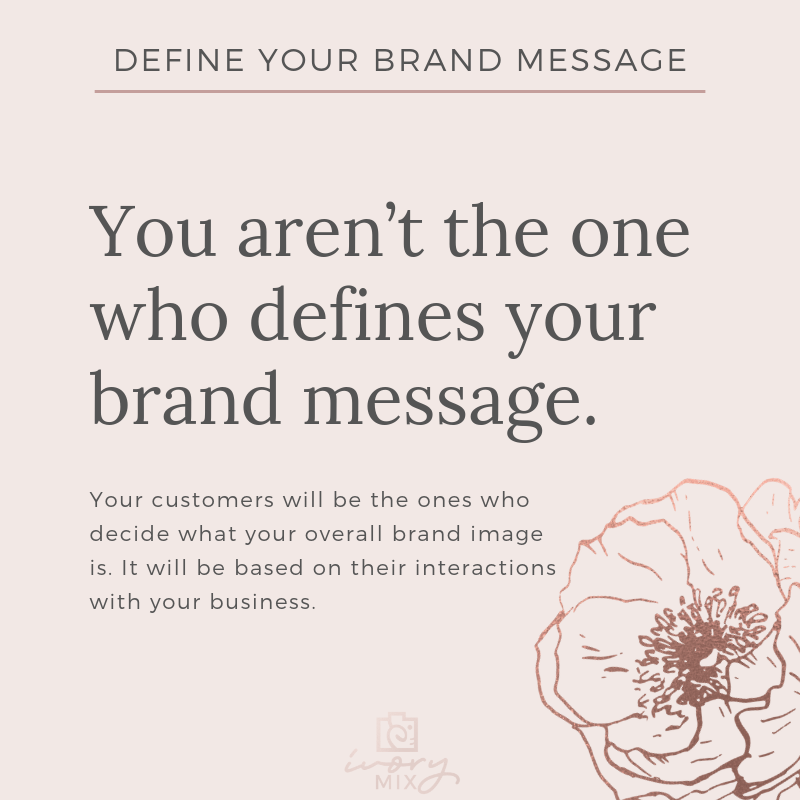 But here’s the thing: you aren’t the one who defines your brand message – your audience and clients do! It’s your job to lay the groundwork as to what you want people to know about your blog and business and then work towards supporting that identity through demonstrating knowledge, skills, and capabilities to deliver what was promised. However, your customers will be the ones who decide what your overall brand image is. It will be based on their interactions with your business. A well-defined, strategic brand message can build instant credibility in your niche while helping you gain authority in your market and shape how customers perceive your business. It’s quite often the key difference between a well-structured online presence and a faltering business that is struggling to connect with its audience. Start by thinking about your target audience and what is most important to them. Once you’ve evaluated your niche, you will be able to position yourself so that you are directly addressing their most burning questions, concerns, and needs. What are other business owners and product developers offering your audience? What kind of products and services are they successfully selling? You want to become the go-to person in your niche, the obvious choice when your audience and potential clients are considering who to turn to when making their decisions. When you work towards building an unwavering presence in your market, starting with a strong foundation of trust, you’ll immediately eliminate the barriers standing in the way of you connecting with your target audience. To do that, you need to learn as much about them as possible so that you can build a brand around what is most likely to capture their attention. You’ll also be able to lower the barrier of resistance and leave a lasting impression in their minds. When you do that, they’ll come back to you time and time again. And how do you do begin? It starts with what is called a U.S.P. Let me explain more in the next sections..
Let me get right down to it. 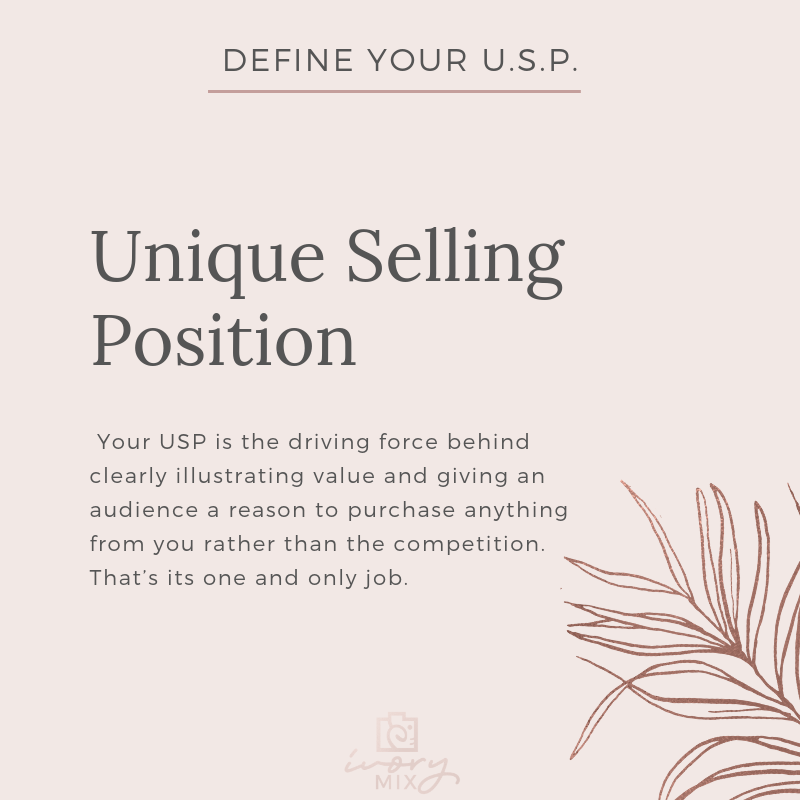 USP stands for unique selling proposition (or unique selling point), and it is critical that you establish what yours will be right from the start. Sure, those are components of your overall brand that help people identify your products and recognize you, however, a USP is far more important than that when it comes to building your customer base, and breaking through the barriers of resistance that most blogs and businesses experience when they first appear in their niche. This would include key factors that differentiate a product or service from its competition, such as the lowest price, an extended, no-risk guarantee, a unique or exclusive product or offer not found anywhere else or the first-ever product of its kind. Your USP should also demonstrate your dedication to your audience and provide reassurance that you stand by your products and that there is no risk to your them if they should do business with you. To start, think about what your blog, products, or services have that the competition doesn’t. Your USP is the driving force behind clearly illustrating value and giving an audience a reason to purchase anything from you rather than the competition. That’s its one and only job. 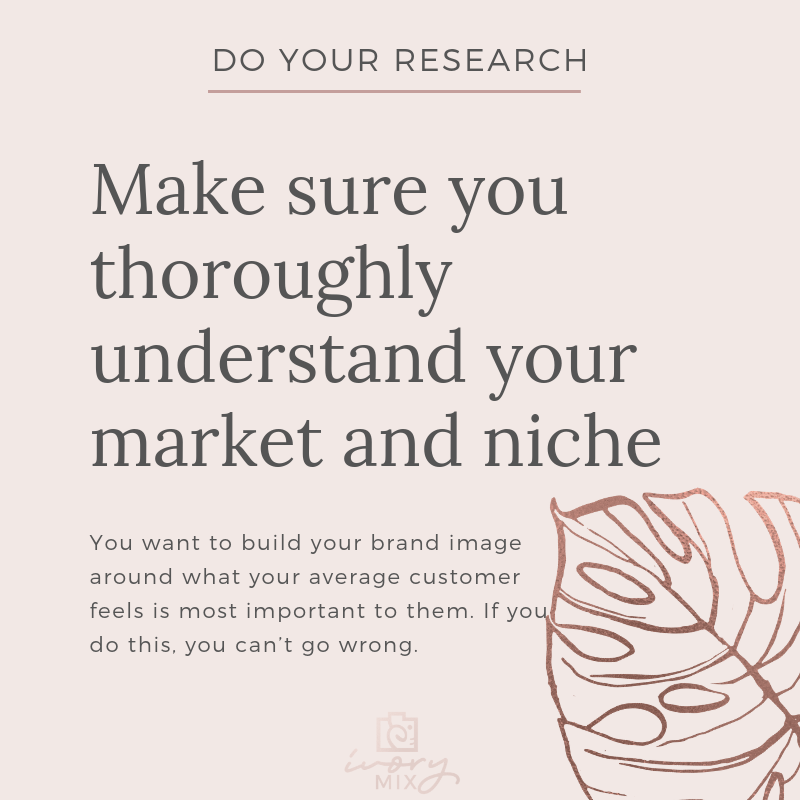 Before you begin laying the groundwork for your brand message, you’ll want to make sure you thoroughly understand your market and niche. This includes knowing who your potential customers are, and who the competition is. Research social media accounts from within your target audience. Pay close attention to what they tweet, how they respond to posts, what they like and are most receptive to. You’ll want to do the same for your competitor’s. Focus on what kinds of content is being posted that boosts engagement as well as how they’ve positioned themselves in the market. Google your niche and analyze the top search results. Spend time on their websites, read their sales copy and if possible, purchase a few of their products so you can evaluate the type of content being offered. Consider using resources like Google Trends to see what keyword searches are trending and performing detailed research on the keywords you’re thinking of using to relate to your brand. Spend time within Facebook Groups, Pinterest Communities, and Instagram where people in your niche congregate to discuss common topics. Look for commonly asked questions, and always keep a lookout for ongoing discussions as it signifies a growing demand for help in specific segments of your market. As you research, take as many notes as possible! Look for who your average customer/audience is and who your top competitors are. These are existing brands that have established themselves in your market. You can learn a lot from how they’ve positioned themselves as influential leaders and created a brand around that image. It’s important that you truly understand your target audience before you create your brand. You want to build your brand image around what your average customer feels is most important to them. If you do this, you can’t go wrong. Once you’ve done your research, it’s time to figure out your positioning statement. This is simply a few lines that describe your brand and solidifies your place in your market. This isn’t necessarily something you include on your website or on business cards. It’s simply an expression of how your products and services fill a specific need in your market. It gives people a compelling reason to buy from you. The easiest way to come up with a solid positioning statement or USP is to think of your brand as a customer. What would she/he be most interested in? What words would matter most? What offers or promises are expected? What questions do they have? Thinking about your brand from a customer’s perspective will help you choose a voice for your business that speaks to your audience and ultimately sets the tone for everything from marketing campaigns, social media updates to the content on your website. There are countless books and courses available online that describe what feels like an exhaustive process when creating a unique and memorable brand. 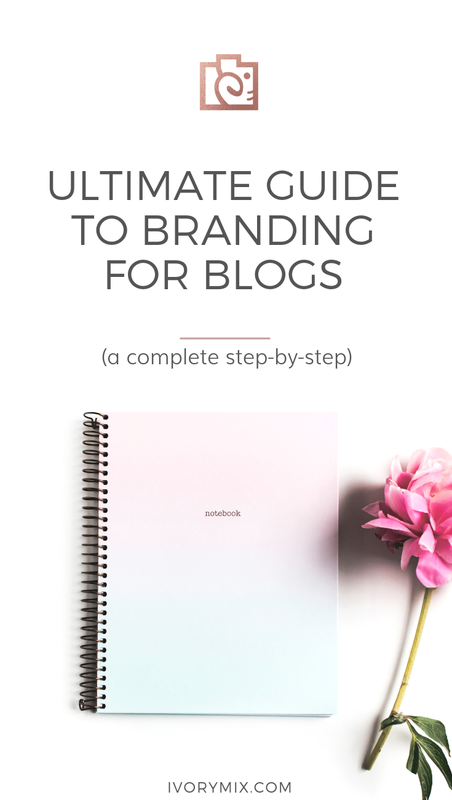 It can get overwhelming and outright frustrating when you’re just getting a blog or business off the ground while trying to come up with a unique brand that will stand out. The strength of your brand begins with a very specific and purposeful mission statement. This is the promise you make to your market, and it defines who you are and what you have to offer. The easiest way to create a powerful mission statement is to think of your business from your customers’ perspective. Think about what motivates them to purchase products and how your business could persuade them so they feel that you’re a credible and valuable partner in helping them achieve their goals. 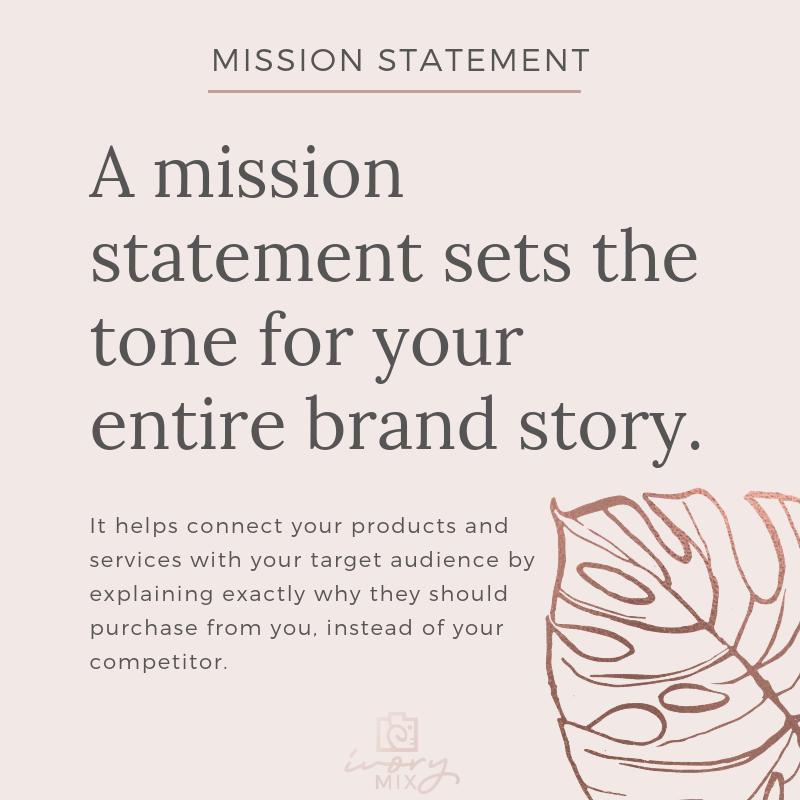 A mission statement sets the tone for your entire brand story. It helps connect your products and services with your target audience by explaining exactly why they should purchase from you, instead of your competitor. If you struggle to create a mission statement for your brand, take a step back and look at your business through the eyes of your average customer. Begin by outlining what you bring to the table and what you have to offer that sets you apart. This doesn’t mean you should include products or services in your mission statement; you definitely shouldn’t. It simply means that you should be able to describe everything that encompasses your business using action-based words that build trust with your market. Think of the value you bring to your market. How does your business provide a solution to a common problem in your market? How are you planning to stand out? Your mission statement shouldn’t be generic. It should apply specifically to your business and not some jargon that could be attached to countless other businesses. Whether you plan to sell products or services on your own, or through third-party services like Shopify or Etsy, you absolutely need to create a website of your own. Your website is the home of your brand. It’s where you invite people so that they can get to know you, your business and ultimately, where you serve them. It’s never a good idea to rely on third-party services if you value having control over your business. I’ve seen countless creators overlook the importance of having their own website. But, you have to always wonder – What if they suddenly lose their Etsy, YouTube, or another account? What if something happens that costs them the only online presence they have? Creating your own website puts you in full control of your brand and it’s a vital component in your long-term success. That doesn’t mean your website needs to be elaborate. It just needs to be functional and serve as a home base for your brand. You can work on growing it as you continue to build your business. You can set up a cheap hosting account with Bluehost (as little as $3 per month) and have your website up and running in a matter of minutes using WordPress. 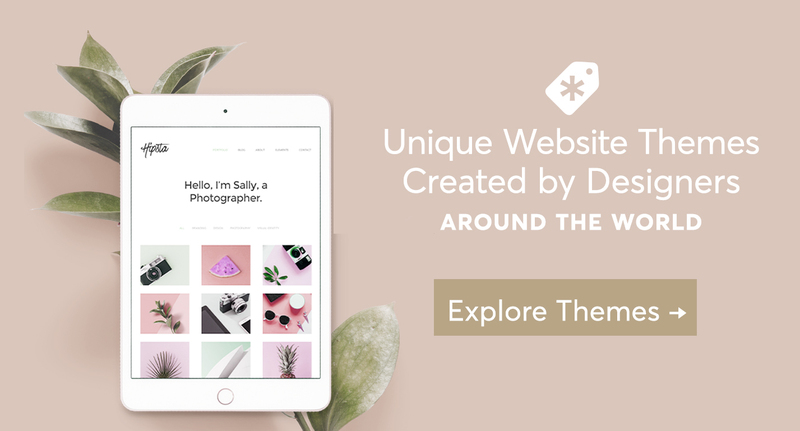 You can also get some incredible themes for WordPress from Creative Market. It doesn’t have to be a difficult or time-consuming process. No excuses! It’s important to begin growing your mailing list immediately. Do not put this off! This is where your website comes into play. 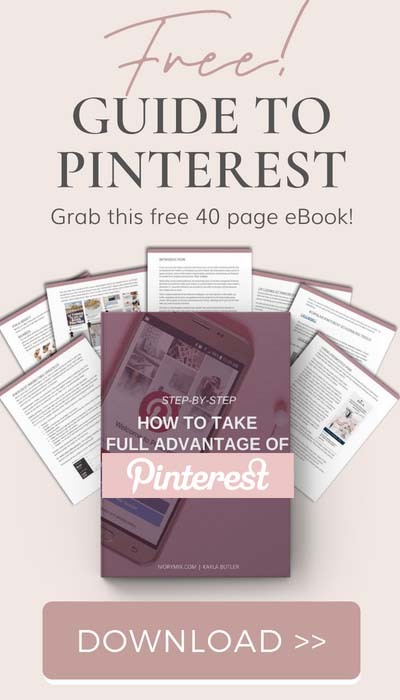 You should include a landing page with an opt-in form that connects visitors with your mailing list so that you can begin to grow your tribe. That way you’re able to easily reach out to your customer base and build valuable relationships with your audience. Now would be a good time to familiarize yourself with why an email list is so important and how it helps me to make over 1k in a single day without new blog posts. 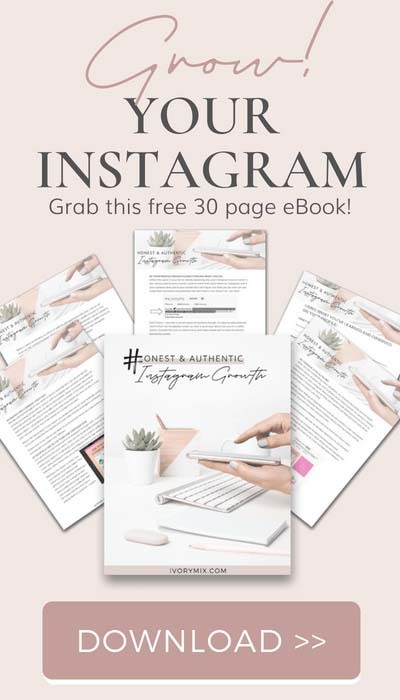 Growing a list of subscribers who are actively interested in your niche is the easiest way to catapult your blog and business to the next level. There is also no other marketing strategy that comes close to the effectiveness of a targeted mailing list, nor one as affordable. You can get started with just a landing page that features an opt-in form and a mailing list account through services like Convert Kit. Related Post: How to get your first 1000 subscribers. The single most important thing that will set your brand apart from any other is by having a very clear differentiator as part of your identity. Here’s a simple example of how a differentiator can be responsible for a brand’s success, even in competitive markets where there are few ways to stand out. A friend of mine writes romance. She publishes her stories on Amazon in what is a rather crowded market. 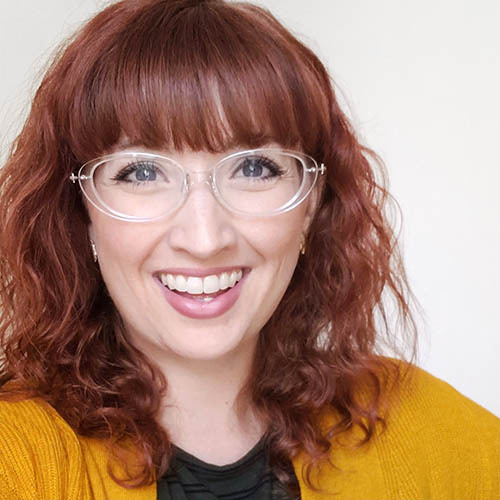 There are thousands of romance books published every week yet she manages to generate over $15,000 a month in book sales. The interesting thing is that her writing is no better than the majority of other books being published. She’s also focused on mainstream romance niches rather than sub-genres. So, how does she manage to stand out and attract thousands of readers every month who have so many options to choose from? Her brand is based around having the hottest book covers on the market. Despite her books being in an overly competitive market, her covers speak to potential readers and persuade them through just one-click. That’s what her entire brand is based on. Having higher quality covers than the competition and staying up to date on the types of images that her audience best responds to. Your brand needs a differentiator. 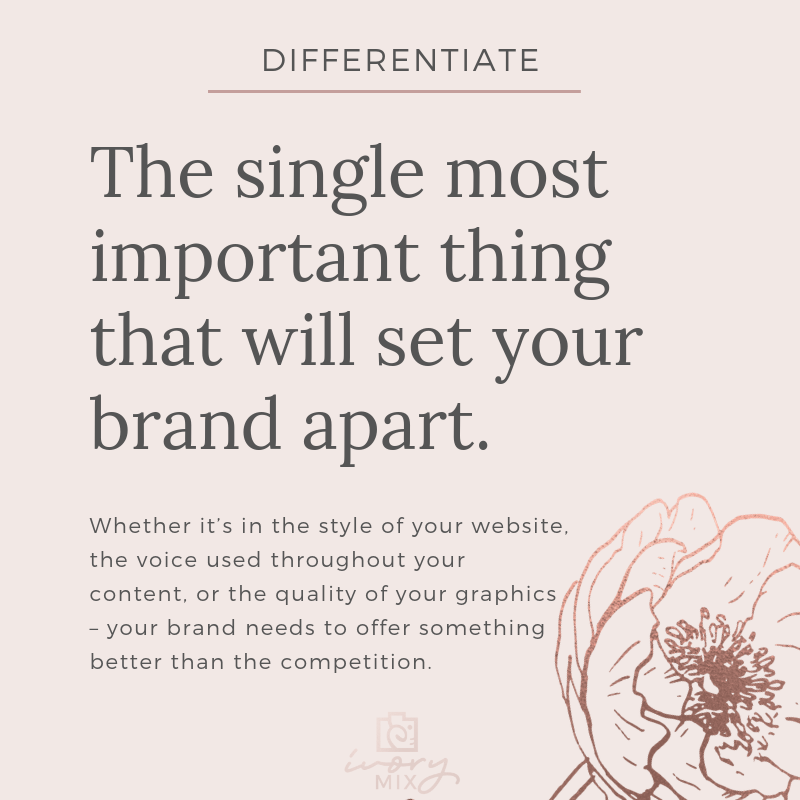 Whether it’s in the style of your website, the voice used throughout your content, or the quality of your graphics – your brand needs to offer something better than the competition. If all things are equal there’s no reason for someone to choose you over another offer, right? So, give them a reason to go to you. 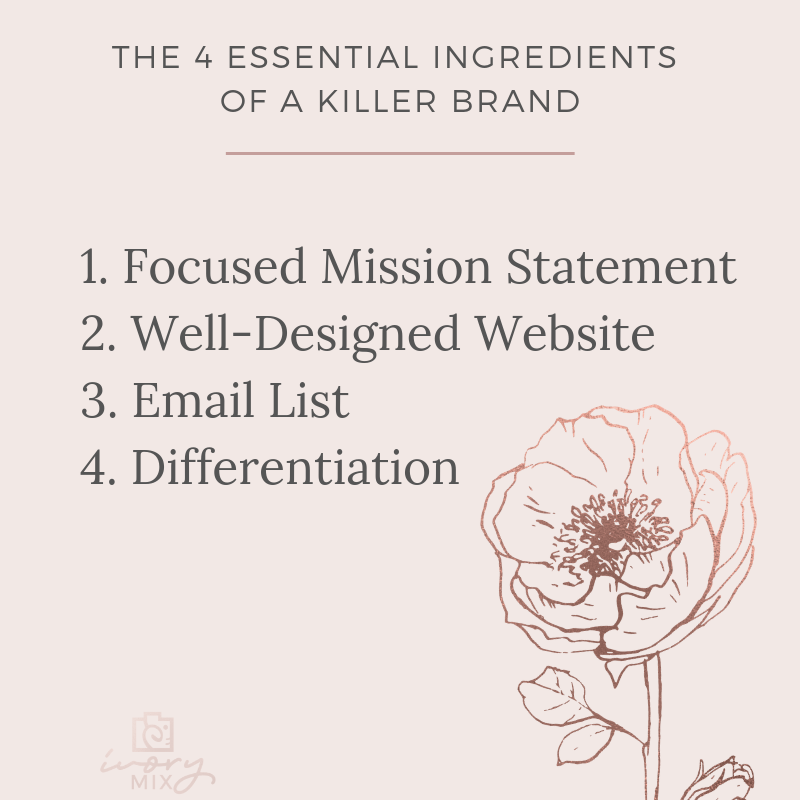 Here is my personal brand building checklist that I used when I launched our business. What do you envision as the look and feel of your brand? What colors do you feel stand out? What kind of graphics do you plan to feature? Here’s a great read that will help you learn how to DIY your own graphic design. Depending on the type of business you are planning to launch you’ll want to consider hiring a professional graphic designer or purchasing a stock photo membership. 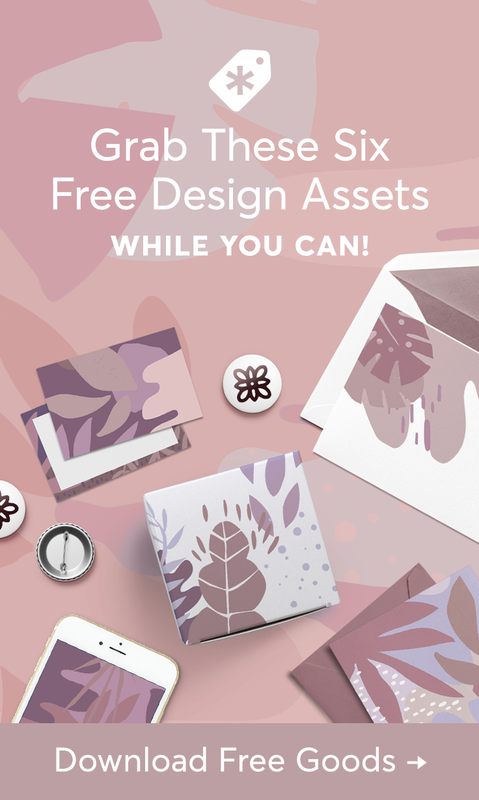 These services can help you create digital product images, banners, a logo and other graphic elements that anchor your brand. Register a domain that defines your brand in some way and set up a simple website using content management service like a WordPress Site. Bluehost includes WordPress with their hosting. You’ll want to quickly snag any social media accounts that you plan to use so that you can stake claim to your brand’s username. This could be your website domain or perhaps a keyword-based name that attracts attention. Integrate a site analytics tool into your website so that you can keep a steady pulse on where your traffic is coming from. This will help you later develop marketing campaigns that are geared towards your prime sources of traffic. A tagline is also known as a slogan and is an important part of every brand because it simplifies your brand message and breaks it down into a few descriptive words. 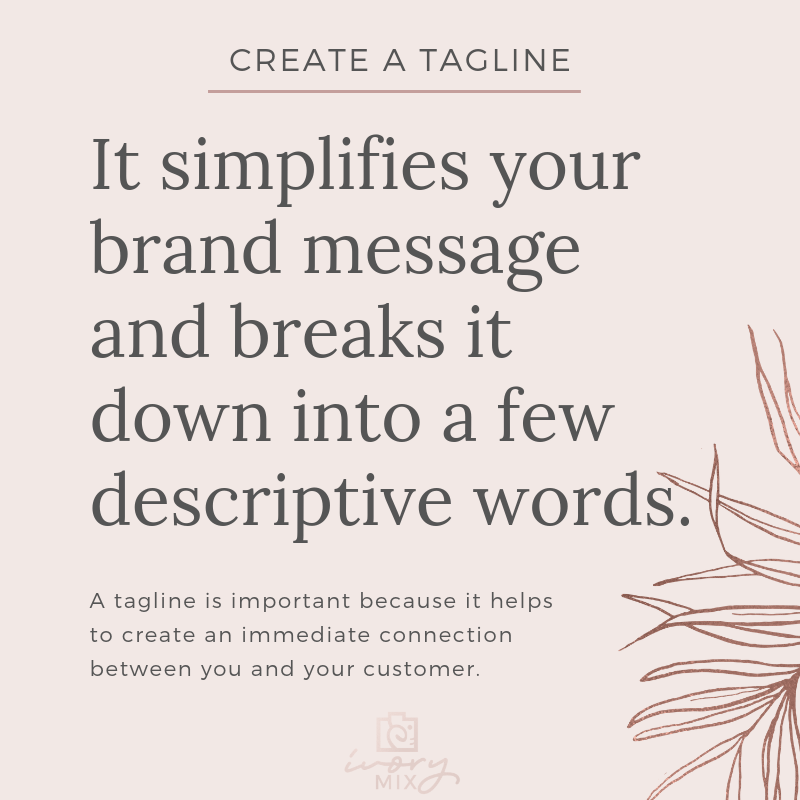 A tagline is important because it helps to create an immediate connection between you and your customer. You’re essentially acknowledging your audience’s expectations and reinforcing your commitment to providing value. As business owners in highly competitive markets, it’s important to always go the extra mile in becoming memorable. A tagline can give you instant recognition in crowded markets. Not sure how to create an unforgettable tagline that helps to establish your brand?  What impression do you want to make?  What image do you want to convey?  What words would you want them to use to describe your brand? The bottom line is, the more specific, unique and direct your brand is, the easier it will be to connect with your target audience, build a relationship with your customers based on trust and reliability, and ultimately, sell more products. When a potential customer purchases one of your products, you want them to know what to expect without having to think twice. It’s important to always connect every component of your business together to provide potential customers with different ways to reach out to you, and become part of your tribe. For example, you should always feature your social media links on your website so that people can follow you and begin to interact with you through multiple channels. The more often people see your social media links, the more likely they’ll be to follow you. 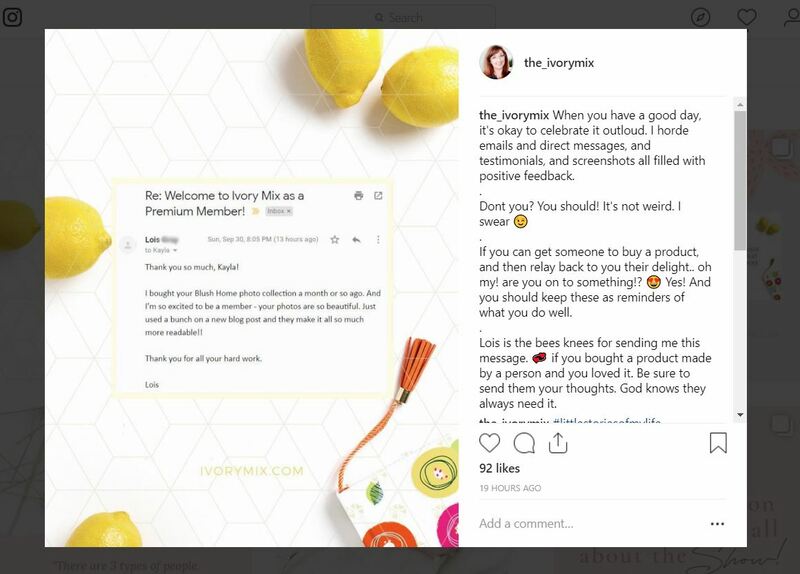 People want to be reassured that you know what you’re talking about and that your blog posts or products have helped others in similar situations. So, whenever possible, include testimonials and feedback from customers who have benefited from your products or services. Positive reviews can be the driving force behind successful product launches so don’t overlook this! Creating a unique brand that stands out in your market and communicates to customers that you have something valuable to offer isn’t as difficult as you may have first thought. The key is to focus on defining how your brand is different than others and why customers should choose you over the competition. You do this by applying differentiators throughout your brand message and by creating a look and feel that speaks to your audience. Then, set the wheels in motion by connecting that brand message to products and services that offer clear value and go the extra mile. Don’t overlook the importance of visual appeal. Everything from your graphics, logo, product covers to the tagline you use to further explain your brand are equally important. A great place to get started with a massive amount of high quality and stunning visuals is with a stock photo members. Next, evaluate your brand from a customer’s perspective as though you were considering your own products and services. If you struggle with this, ask friends, family or business colleagues to look at the different components of your brand so they can provide valuable feedback.  Does your marketing message clearly define what you’re offering?  Is your brand message easy to understand?  Does it satisfy the most common expectations?  And most importantly, does your brand answer the question of why they should choose you when they are given hundreds of possible choices? If you aren’t sure of the expectations and burning questions within your niche, please take some time to study your market. Read through Facebook groups and pages, subreddit threads and forums. Buy products from successful businesses in your market. Get to know your audience and what they want most from the products they purchase. The more you focus on getting to know your audience and what they want most, the more purposeful your brand message will be.